And now back to our friendly game of chess... or checkers. 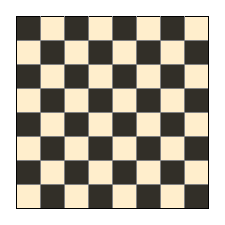 Here is a 8x8 table with chess pawns (Unicode characters). And here is more daily use of :nth-child - big tables. Below is just a part of the table available on the Wikipedia Timeline of web browsers article.